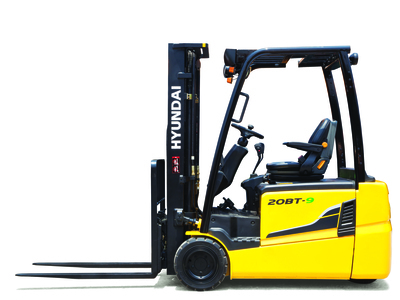 Hyundai introduces its powerful 20BT-9 three wheel counter balance electric forklift with dual AC drive motors. 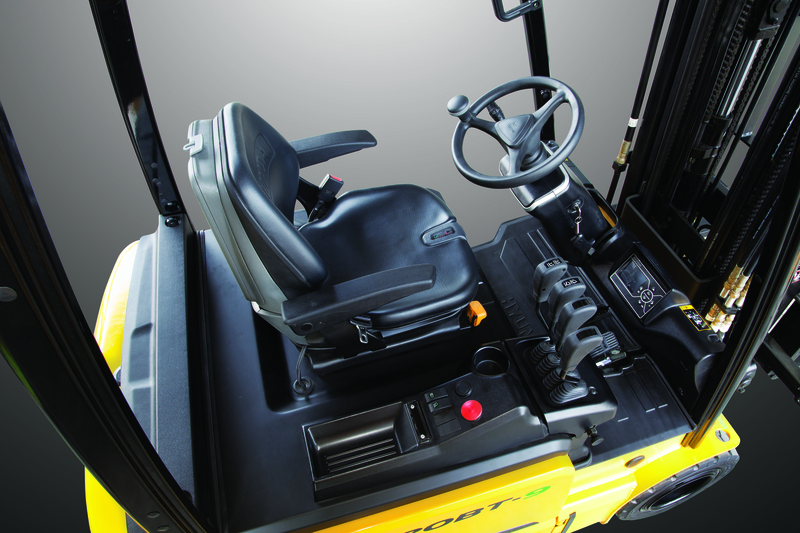 Efficient, smooth running and compact design provide operators with enhanced performance and superior productivity. The BT is designed as small, compact design, yet the operator cabin has been ergonomically designed to offer comfort and ample room for virtually any operator. Features include; curve control, wet brakes, dual drive motors offer central pivot turning, easy side battery removal, anti roll back, travel speed, advanced safety features and improved visibility. Extended maintenance intervals, maintenance diagnostics from the LCD colour monitor and excellent durability ensure this truck delivers maximum productivity. Our BT range ensures high efficiency and optimal productivity!